This course is specifically aimed at the Construction industry and provides comprehensive information needed to become a qualified Fire Warden or Fire Marshal. It includes full details on the duties of a Fire Warden or Marshal, use of fire extinguishers and how to complete effective fire drills and evacuation. A complete in-depth Fire Warden eLearning course aimed specifically at those working in the Construction industry. This course provides everything you need to be able to demonstrate competence in the role of Fire Warden or Fire Marshal. Assigning Fire Warden duties to a responsible person on site is a key part of ensuring good health and safety, and demonstrates a commitment to implementing sound emergency fire procedures. This Fire Warden Training in Construction Course covers your duties under fire legislation, as well as looking at fire prevention measures, the correct use of fire extinguishers, and how to organise a fire drill. We also have a Fire Awareness for Construction course. The Fire Warden Training in Construction course is broken down into 5 sections. This section covers the basics - including fire spread, the dangers of smoke, the causes and costs of fires on construction sites, how to reduce the risks of fire and understanding the meaning of different types of signs and where they should be placed. This section looks at how people react in fire-related situations – demonstrating how critical the role of a Fire Warden is. It explains the importance of fire drills and covers the emergency procedure, including raising the alarm and calling the fire service. It explains a Fire Warden’s duties during an evacuation. 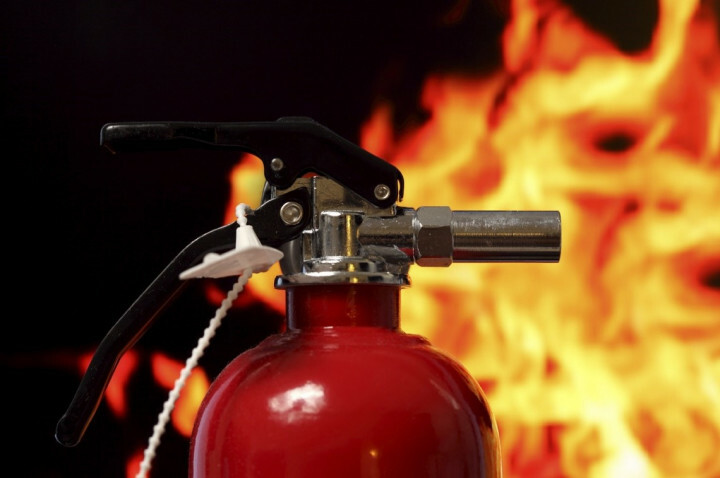 This section looks at and explains the different classes of fire, the different types of fire extinguisher and how to operate them – including which extinguishers to use on each class of fire. This presenter-led section of the Fire Warden course explains the legislation in a straightforward way. It’s simple to understand and concentrates on the relevant part of the Regulatory Reform (Fire Safety) Order 2005. This Fire Warden Training (Construction) course concludes with a 20 question multiple choice test with a printable certificate. In addition, brief in-course questionnaires guide the user through the sections of the training and are designed to reinforce learning and ensure maximum user engagement throughout. Your Fire Warden (Construction) Certificate includes your name, company name (if applicable), name of course taken, pass percentage, date of completion, expiry date and stamps of approval or accreditations by recognised authorities. Based on 48 real user reviews. Information was clear and very understandable. Course took too long buffering all videos, kept stopping and jumping. Not ideal when training. It is efficient way to do the training.Saves time and it is apropriate to our work condition. Read our full reviews for Fire Warden Training in Construction.